13 Sunday from 12 tomorrow you will be able to taste all the cider of the contest buying a glass for 3 euros. All enlivened by bandina Los Gascones. Each participant must present a box and a half of cider per palu (6 bottles for the contest and a box for the tasting popular), the last day to sign up is Thursday 3 in May. We are going to pick up the cider boxes in the municipality of Ribadesella between the 4,5 and 6 days and after the folixa we return them too! The semifinals will be held at the Plaza de Abastos on Wednesday 9 and Thursday 10 from the 7 and a half, and the grand final will be on Sunday 13 from the 1 in the tent of the Plaza Nueva. 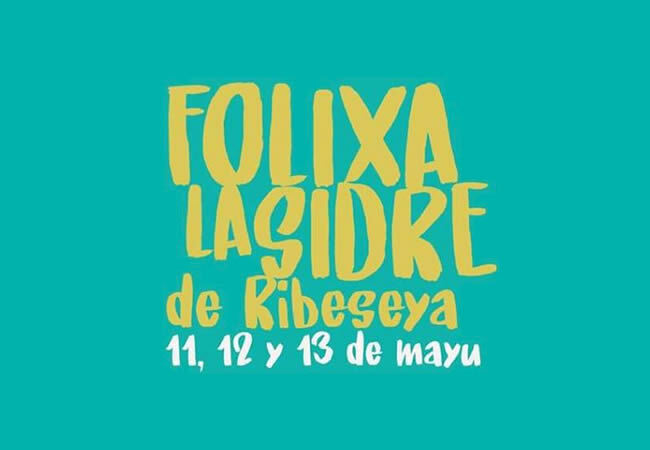 The three first classified of the Ribadesella council are classified for the final of Asturias, which will take place in Villaviciosa in the month of October. 17:00 h. Afternoon of kids. Prehistoric games Dance of Arcs. Children's Choir and Bandina Salia. 20:00 h. Tonada Festival. Oscar Fernández. 23: 30 h. Popular games and final trumpet.